Hi my name is Aleka! 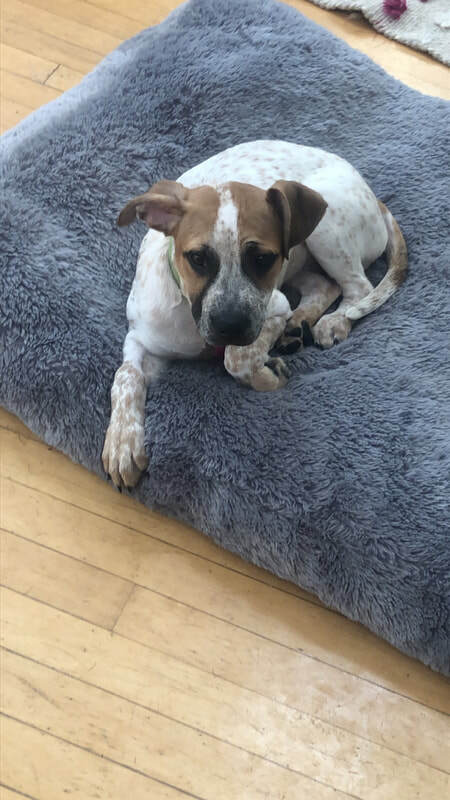 I am 3.5 month old puppy who just came to Minnesota and is living and loving life with my foster momma and sisters until I find my FUR-EVER home! I am originally from Kentucky and was found wandering around by myself and rescued by this amazing animal rescue! I am currently working on my house training but my foster mom says I’m a quick learner and I’m very smart so I should have it down In no time. I love all people including kids and animals! I enjoy walks and running around with my foster sisters. I am also a snuggler and love to give puppy kisses! I would be a fantastic addition to any family but would be perfect for an active family or someone with plenty of space or a yard for me to run around in. I am very excited to find my FUR-EVER home and family!! Is that you?! Providing Loving Homes To Our 4 Legged Friends.